Life is too short to be anything but happy. 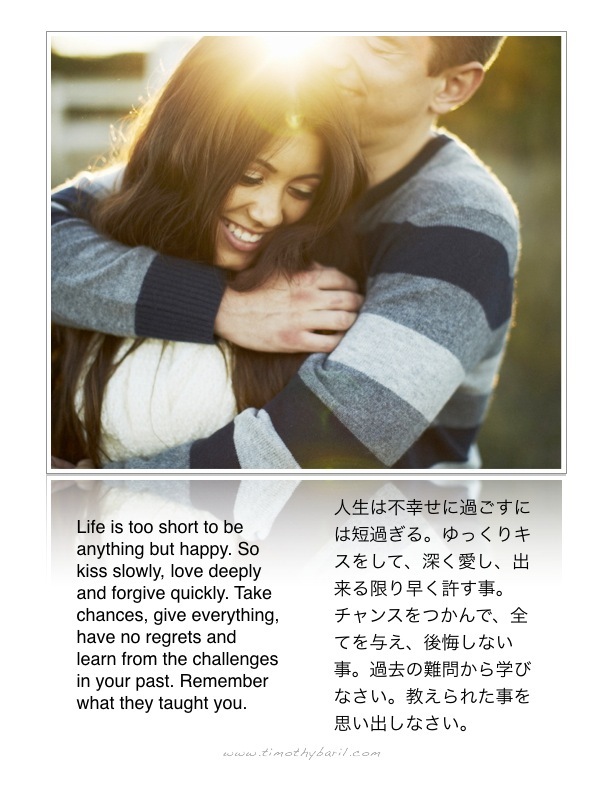 So kiss slowly, love deeply and forgive quickly. 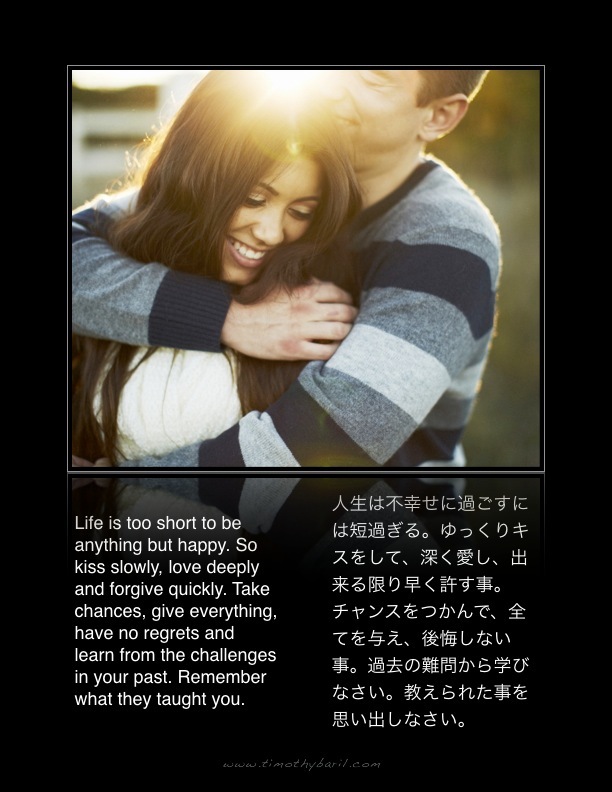 Take chances, give everything, have no regrets and learn from the challenges in your past. Remember what they taught you.